So it’s been a few days since the team announced the closure of Club Penguin Rewritten on March 4th, and that date is only a few days away. I just wanted to explain a bit about my thoughts on the game closing, some alternatives and also the future of this blog. This is just going to be as “raw” as possible, but there’s just a lot I want to express. There’s no way of saying it other than I am absolutely devastated by the closure. In many ways, this announcement has hit me (and many others) way harder than that of classic Club Penguin ending. I am absolutely certain that there was so much exciting content planned for the game, with there to be many more amazing parties, had it not been for the initial actions of Codey, who I have no sympathy for. That being said, by no means do I blame the team for the decision which they have decided to take. I know I said this when there was a previous announcement about closing, but personal safety always has to take priority over anything, including the game. I don’t want to focus too much on the cause of this announcement, but I personally feel that the closure of the game was for a reasonable reason. When making the new blog header yesterday (you can see it below), I found almost 100 images and used the vast majority of these. It amazed me on how many incredible parties we had and how many memorable moments we had, and I can’t deny that it made me so sad to consider that after the Waddle On Party, we won’t be able to experience a party quite the same. I’m so grateful to the team for all these amazing experiences which they have given to us: Club Penguin Rewritten truly was a continuation of Club Penguin to me. I’ll be honest with you, to me at least, nothing will replace the magic of Club Penguin Rewritten. No other private server or game has such an incredible variety and flow of content, with an amazing community, backed by a trustworthy and professional team who genuinely care. 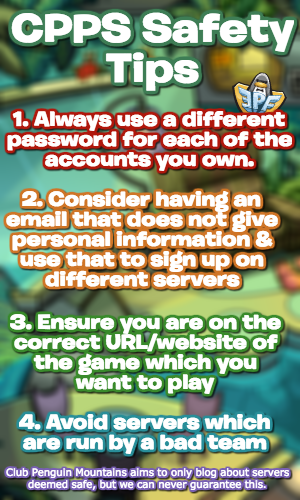 But if you do want to carry on your Club Penguin journey, please make sure you choose a game which is safe and has a trustworthy team. These are just my recommendations, but I would extremely recommend you do not play “Club Penguin Online” and I also suggest you don’t play “Club Penguin Universe”. I won’t be too specific, but even recently, their staff have done awful things. The safe servers recommended by Hagrid, an administrator for Club Penguin Rewritten, are Vintage Penguin, CP Reborn and CP Regenerated. I’m going to share a brief bit of information regarding these servers and give my personal opinion on it (which may vary to yours!) as well as if I may blog about it. Let’s start with something that isn’t a private server. As you might know, I used to dedicate this blog to Club Penguin Island posts before completely stopping in January but the closure announcement doesn’t really change my opinion. The game is really cool, and it’s nice to be able to support the official franchise, but the lack of updates often is the main reason which puts me off from both playing the game and blogging about it. As a result, I almost certainly will not be blogging about Club Penguin Island, despite the closure. I still, however, wish it the best of luck, and I do hope it will solve the issues which make me dislike it at the moment. This private server is extremely neat, with a very trustworthy team and a lot of cool events. However, it truly is “Vintage”, set in a period of Club Penguin where it doesn’t even have rooms such as the Stage, or even stamps. Although it’s a neat server which I would reccommend you check out, it just isn’t for me. It has a completely different atmosphere which is challenging to adjust to, mainly because of quite how old the era of Club Penguin it is. Many others enjoy it though, and it does have a lot of cool elements! Regarding Club Penguin Reborn, it isn’t appropriate based on more recent information, and I would suggest not to play it. Regarding Club Penguin Regenerated, it isn’t trustworthy based on more recent information, and I would suggest not to play it. Whilst these are all servers that I could be posting about, there is one server which I will definitely be blogging about and that I would highly recommend playing. That server is Pengur, however it isn’t out yet. The majority of staff are staff from Club Penguin Rewritten, including Hagrid and Flippy being administrators, so it is definitely trustworthy. But along with this, the content looks absolutely incredible. The game just looks absolutely incredible, and I will definitely be fully engaged with it when it releases, which I will be sure to keep you updated on! 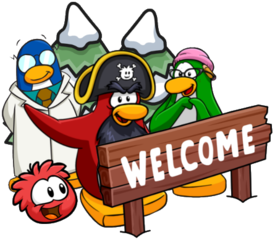 I think it’s important to feature some servers as one of the saddest things which will happen after the closure is that every penguin will be going their own way, whether it be to a new game, or moving on from Club Penguin completely. I do just want to say that it’s been an absolute honour to have been able to hopefully have helped tens of thousands of people regarding Club Penguin Rewritten. The game has just been perfect to blog about, and I’ve loved every moment of it. It devastates me that it’s going to be closing within 100 hours. In my random checklist in my head, the game ticked literally every criteria. Constant flow of updates, a need for content, enjoyment out of making content, the list goes on. To the Club Penguin Rewritten team, I cannot thank you enough. I guess that leaves just one more thing, the future of this blog. The answer, honestly, I don’t know, neither am I going to try and figure it out yet. For the last few days, I want to truly enjoy my time on Club Penguin Rewritten rather than just trying to switch to different servers in anticipation of March 4th. When Pengur releases, I will definitely be blogging about that, however there isn’t a clear timeframe right now on when that will happen, so I need to do something in-between. I will most probably blog about one or more of the three private servers which I mentioned in this post until then. However, the change from CP Rewritten content won’t be easy, both for me personally but also for this blog. The pages took several hours to create, and I had over half a dozen more made but unpublished. It will take some time to adjust to whatever decision I make. A few days after the shutdown, I will be taking a small break from posting to consider what to do next. It will likely on be a few days, but definitely no longer than one or two weeks. I know that many of you who read this blog when I did CP Rewritten content might not check it again. Perhaps you’re moving onto a new server, like me, or leaving everything related to Club Penguin. Either way, I’d like to give you a huge thank you for the support every single day. I sincerely hope that you find something you enjoy, and I wish you the best of luck at whatever you do next. i am curious why you do not recommend CP online? i am not really familiar with that private server, so maybe there is just something i don’t know. i understand CPU, and i don’t plan on moving to that private server anyways, but yeah. Their owner owned a previous CPPS where he acted extremely inappropriate, disgusting and unprofessional. There’s lots of other reasons, however even recently, they’ve been using bots to gain promotion, hence why it seems to be quite popular.